Babu Bangaram Review: The Tollywood’s most wanted movie finally out Today on Varamahalakshmi Festival / Varalakshmi Vratham. Venkatesh – Nayanthara is the Lead role in this movie. It includes the three genres as Action Romantic Comedy film. It is penned and directed by Tollywood famous director Maruthi. The financial corner of this film is managed by S. Naga Vamsi, P. D. V. Prasad as a Producers under the banner of Sitara Entertainment. Sampath Raj, Murali Sharma, Posani Krishna Murali, and Vennela Kishore were played in the supporting roles. Also, this film released in the Tamil Language as the title of “Selvi.” Venkatesh Babu Bangaram competing today with the Sai Dharam Tej’s Thikka. Here you can get theBabu Bangaram (Selvi) Live Audience Response, rating, review, Story, & Final Verdict. Overall, the movie got an Average response Today by the Venkatesh fans. The director wrote a story for Ventakesh and for his fans. It consists of average comedy scenes and ordinary common story. But, the movie has sold for the big price nearly for Rs. 30 Crores on all around this world. According to the Music, Ghibran showed his usual talents in his Babu Bangaram project. The Background Music and the songs are placed in the right frame. Richard Prasad played with his lens as a Cinematographer. He respects the director’s words and makes the scenes as good. The movie was certified with the grade and need the Parental Guidance for the 12 years below age children. Venkatesh timing comedy and action frames are the major highlights of this film. The director reveals his skills once again as he is the entertainers specialize filmmaker. 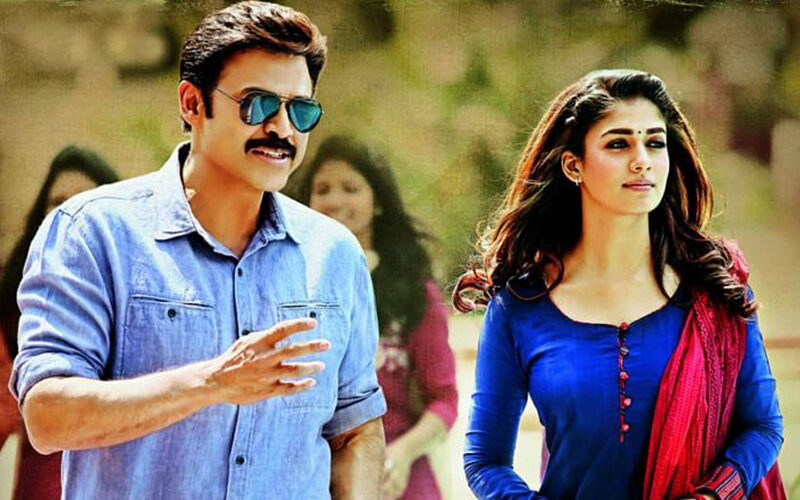 We Provided the Genuine Babu Bangaram Review, Rating, Live Audience Response and Story Here. Check it Out. The introduction of this movie hero along with the pre-independence old getup. He is named as Jamindar Rayalu. The introduction of heroin, Nayanthara. Venkatesh (ACP Krishna) was born with the mild hearted character and he willing to help more needy people. Because of his character, he went to help Nayanthara unofficially (Off-duty). The Ghibran’s and Babu Bangaram’s Mallela Vaanala is the first song. The makeup’s and background looks will make you sit on the seats. Watchable song. Batthayi Babji (Prudhvi) introduction scene. He is the Nayanthara’s Bava. He is working as Fruit Vendor. Before the interval, the second song played with the montage art. Snehitudo Sevakudo is the second song. It looks like an ordinary song. Venkatesh changed his character and here it is first scerious fight scene in the second half. ACP Krishna’s second half character makes you as active. Not boring. Babu Bangaram title song is here on screen as a Sonam Bajwa’s Item Song. The continuous average comedy scenes are boring and it reduces the quality of the film. And it the is common and usual film in Tollywood. Posani Krishna Murali performed well in this film thoroughly. Kindly give your review about our Babu Bangaram Review and Rating. Sai: #BabuBangaram Guys Twitter lo ostunna pichi reviews follow avaddu dayachesi. Movie chala bagundi. #BabuBangaram 2.99/5. Positives : Inko song shoot cheyaledu annaruga ade. 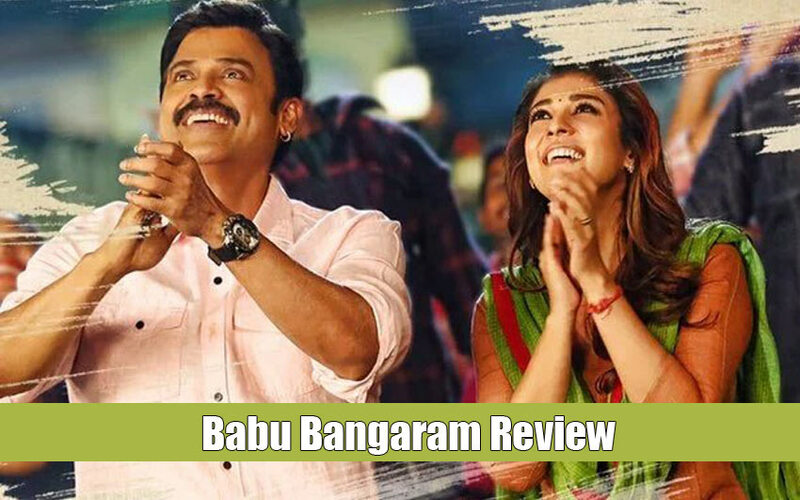 Share your report about our Babu Bangaram Review, Rating in the Comment box here below. Comment your thoughts about our Babu Bangaram Review and also give your rating here below on the Babu Bangaram Rating box. Check the details of Babu Bangaram Movie Cast and Crew. Kindly scroll down and get the Babu Bangaram Rating by the WORLDHAB entertainment team. We gave the Movie Rating based on the Story, Star Performance, Musics, Cinematography, Audience Response, and more. Stay tuned for More Tollywood Updates!